The approval of new drugs has ground to a halt for 18 months and reimbursement decisions have been constricted for non-generics says the Portuguese pharmaceutical industry body, Apifarma. Price cuts and mounting debt in public hospitals are making access to essential medicines more difficult for patients and harming the industry, it warns. “The pharmaceutical market in Portugal has been affected by the policy of price erosion implemented by the Ministry of Health, with patients finding it difficult to access medicines. Pharma companies have seen debts at public hospitals mounting to over €1bn and payment taking almost 500 days in some cases,” Apifarma said in a statement. But pharmacies complain that pharma companies and other suppliers get better conditions from the government, with pharmacists believing that it is they who are bearing the brunt of the recession, having to rely on bank loans to stay afloat and keep stocks available for patients. The ongoing conflict between industry and pharmacies has led to suspended orders and failures in the supply chain. The National Association of Pharmacies has warned that 600 pharmacies could close down and uncertainty is also prompting some panic buying from large pharmacies concerned that the supply chain could collapse, as it has done in Greece. Both industry and pharmacies have now declared that shortages are very likely in November. Apifarma signed a deal with the Ministry of Health to keep pharmaceutical expenditure to 1.22 per cent of GDP in 2011, as required by the Memorandum of Understanding agreed with international creditors when the bailout was negotiated. The industry body considers the goal of decreasing expenditure further 'unrealistic and risky' in terms of market supply and access to medicines for patients. However, the trend is for more far-reaching cost-containment measures. After successive price revisions and enforced generic prescribing, the government has now turned its attention to decreasing pharmaceutical expenditure in the hospital sector with the creation of a new monitoring body, attached to Infarmed (National Authority of Medicines and Health Products) or the Health Ministry. The government aims to build on the new centralised purchasing of more cost-effective medicines also in hospitals. In October, legislation was published to extend electronic prescribing to include medicines dispensed to patients in ambulatory regime through hospital pharmacies. New legislation, along with restructuring of the health service to include Family Health Units and the emergence of a new set of decision makers, is making market access more challenging by the day. Restructuring has resulted in the grouping or closure of many health centres and a system that gives more autonomy to clinicians devising strategies for each community. Portugal is one of the most indebted countries in Europe, and was forced to seek financial assistance from the European Commission, European Central Bank and the IMF. The bailout requires the government to cut down spending across public services, including the healthcare sector where wide-ranging healthcare budget cuts are having a particular impact on cancer services. In its budget for 2013, the Portuguese government has proposed a cut of €333m in pharmaceutical expenditure to represent just 1 per cent of GDP in 2013. The ever-shrinking budget is impacting access to medicines with the introduction of controversial rationing of costly but life-saving or life-extending therapies. Public hospital spending on cancer medicines decreased 5 per cent in the first half of 2012 according to Infarmed, the regulatory body's figures. This is due to cost-containment through imposed price cuts of the newest therapies, but also the decision to revert to older and less expensive medications. Orders of Roche's Xeloda (capecitabine) for colon cancer have dropped more than 10 per cent, which doctors and Roche confirmed has been the result of opting for generic versions of fluorouracil (5FU). Ever increasing generic substitutions in hospitals have led to considerable savings. In other cases there is a significant decrease in spending on drugs such as Roche's Herceptin (trastuzumab) for breast cancer, which the company explains through price reductions. The environment is definitely hostile for those branded medicines perceived as offering 'little value for money'. The National Ethics Council has recently issued a recommendation for the Portuguese National Health Service to start rationing expensive medicines for cancer, HIV and arthritis patients, which has been met with criticism by the medical establishment, patient groups and opposition political parties. The Portuguese medical association said the document attacked the very basis of the medical profession's code of ethics and that doctors would not 'tolerate any rationing'. The doctors' association explained that government rationing is unacceptable because 'doctors are the ones prescribing and know what medicines are needed'.The same institution claims that doctors are emigrating and being made redundant by hospital closures and reorganisation, particularly those working in oncology services. Earlier in the year, Health Secretary Leal da Costa angered doctors and patients by saying that therapies of 'doubtful efficiency' that prolong life briefly had to be curtailed. Patient groups described the statement as 'insensitive and inhumane'. Oncology is one the worst affected areas because it depends on innovative costly therapies and doctors resent the fact that treatment funding decisions are being made by managers. Vitor Veloso, surgeon and president of the Northern district of the Portuguese League Against Cancer said that cancer care is in peril. Hospitals are massively in debt and there's anecdotal evidence from patient groups that they have been blocking access to new medicines to meet savings goals. Another problem is that reimbursement decisions take much longer for cancer products than other medicines. It takes the regulatory body up to 743 days to decide on reimbursement of cancer medicines, while the average decision is made in 331 days, according to Apifarma. The Portuguese Observatory of Healthcare systems in its Spring report refers to an implicit rationing of healthcare due to austerity measures. Daily newspaper Jornal de Noticias in June reported that Jose Manuel Silva, head of the doctors' association, received two complaints regarding rationing of cancer treatments by clinical directors: “It's regrettable that the Ministry of Health refuses to acknowledge what we doctors are experiencing on the ground, they lack the humility to accept that access to treatment is an issue”, he said. Longer waiting times for radiotherapy, which have been the focus of highly critical press coverage. Supportive care and rehabilitation for cancer patients have also been affected. Conditions too expensive to treat? Portuguese public hospitals are increasingly under pressure to limit access to certain drugs. According to IHS Global Insight's pharma senior analyst Tania Rodrigues, patient groups claim that hospitals are refusing or delaying access to medicines for conditions such as rheumatoid arthritis, psoriasis or spondylitis. For instance, the Portuguese Association of Amyloidosis (APP) is petitioning parliament for access to Pfyzer's Vyndaqel (tafamidis). The drug is to be granted marketing approval by the European Medicines Agency for the treatment of transthyretin amyloidosis in adult patients with symptomatic polyneuropathy, a severe and progressive orphan disease. However, hospitals can order the drug directly from the manufacturer via a 'special use authorization' request, but they choose not to do so because it costs around €130,000 per year per patient, claims a spokesman for APP. Biologic medicines for psoriasis, arthritic psoriasis, rheumatoid arthritis or spondylitis, according to the respective diseases' national patient associations have also been met with restrictions. Last February, Roche tightened its bill-collecting policy for hospitals in Portugal, requiring those in arrears to pay down debts before they could order more medicines on credit. Some of the affected Portuguese hospitals hadn't paid for more than 1,000 days, according to Roche. The policy applied to 23 hospitals, about a quarter of Portuguese hospitals, and many of the medicines in question could not be substituted. Other pharma companies may well follow suit. Prior to the cuts to public healthcare system, cancer care was already underfunded, even though it is the second most prevalent cause of death in Portugal, following cardiovascular disease (and the primary cause of death among 35 to 64 year olds). Portugal spends €34 on cancer per capita per year, significantly below the European average of €97. 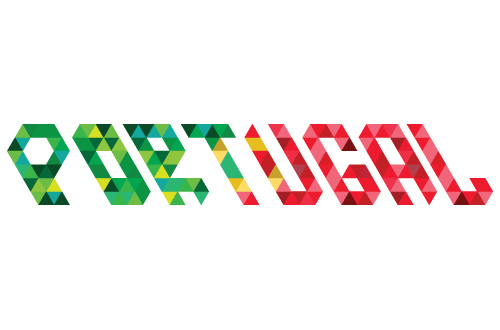 In Europe, only Lithuania spends less than Portugal in oncology care. 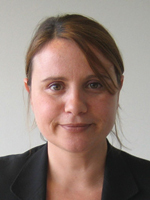 Catarina Féria is a freelance journalist specialising in the pharmaceutical industry.